The Panama Canal turns 100 years old this week, marking a century for the engineering feat considered by many to be one of the great wonders of the industrial world. Since its inauguration in August 1914, the canal has redefined global trade. And as international shipping has continued to grow, the waterway connecting the world’s two largest oceans – the Atlantic and Pacific – remains no less vital today. But Panama’s centennial celebrations offer a chance not just to reflect on the past 100 years, but also to look forward. One hundred years on, the Panama Canal is poised to enter another historic phase. Its expansion promises to transform global trade once again, but this time in energy markets, in particular, liquefied natural gas (LNG). From its beginnings as a victim of abandoned French ambition – Paris dropped its efforts in 1894 after the project went bankrupt and caused more than 20,000 deaths from disease and accidents -- to a symbol of 20th century U.S. power, the Panama Canal has captivated engineers and layman alike. It has also catapulted the small Central American country to international renown. And while technological advances have precipitated a rise in air transport in recent decades, the canal’s importance has not been diminished. Global shipping has continued to grow along with expanded global trade. Since 1914, over 1 million ships have transited the canal, carrying close to 9 billion tones of cargo. These figures are impressive in and of themselves, but for energy analysts, the Panama Canal’s most lasting impact may be yet to come. For the most optimistic, the expansion of the canal – to be completed by the end of 2015 – will revolutionize energy trade and form the basis of a truly global market for LNG. The tale linking the Panama Canal and natural gas is serendipitous. When the canal expansion project was initiated in 2007, the United States energy revolution was still in its infancy and none predicted the enormity of US oil and gas production by 2014, nor the prospects for natural gas exports that would seek transit through the canal. Natural gas production in the United States climbed from 1.5 trillion cubic feet (tcf) in 2007 to 9.7tcf in 2012. And experts predict it will continue to rise. 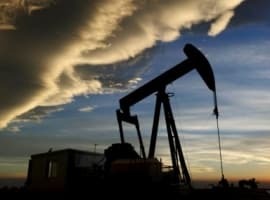 The U.S. Energy Information Administration estimates that total natural gas output will top 37 tcf by 2040, almost 20tcf of which will come from shale. When the United States overtook Russia as the world’s largest natural gas producer in 2010, the possibility of the U.S. becoming a net exporter of natural gas was suddenly a reality. This is where the Panama Canal expansion comes into play. The newly expanded canal will accommodate close to 90 percent of LNG tankers, compared to less than 10 percent currently. This is a big deal for natural gas producers and exporters on the U.S. Gulf Coast seeking access to the more lucrative Asian markets. Of course, there are hurdles. 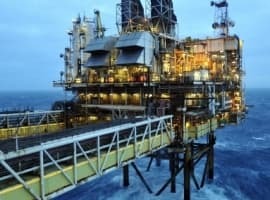 U.S. exporters face restrictions sending LNG to countries that don’t have a free trade agreement with the United States. Meanwhile, some exporters fear that permitting delays could see them miss their window of opportunity to become a major player in these markets. Still, the benefits of the expanded Panama Canal will be significant. The route from Sabine Pass in Louisiana to Japan, for example, would be cut by 11.4 days, according to the Panama Canal Authority. Importantly, this is not just a U.S. story. The canal has the potential to alter LNG trade routes worldwide. Shipping natural gas as LNG from Peru’s Camisea project to Spain via the canal would save eight days’ transit. Recipients in the Western Hemisphere would also benefit. The route from Trinidad and Tobago to Chile, for example, would be cut by 6.3 days. The cost savings would be enormous for parties on all sides. And while the final tariffs are yet to be released, it is in the Panama Canal Authority’s interest to ensure prices are competitive. As global LNG trade becomes more efficient and the boundaries between regional natural gas markets more fluid, analysts predict we will see natural gas prices converge, resulting in the development of a global LNG market. Like the initial construction, the expansion of the canal has not been without challenges, from worker strikes to cost overruns and contract disputes. As of June 30, the project was still just three-quarters complete. After several stoppages and tense negotiations with contractors, construction is on track to be finished by the end of 2015 – more than a year later than its original completion date. But the disputes have pushed the estimated final cost close to $7 billion, well beyond the $5.25 billion bid that won the consortium the original contract. 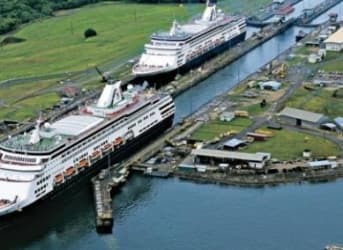 While the Panama Canal Authority may have missed the deadline to inaugurate the expanded route on the canal’s 100th birthday, celebrations on the Miraflores Locks will not be muted. Meanwhile, natural gas producers and exporters across the Western Hemisphere and the globe will be getting ready to welcome a new era for the Panama Canal. 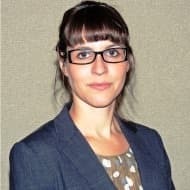 Alexis Arthur is Energy Policy Associate at the Institute of the Americas, a think tank focused on Western Hemisphere Affairs based at the University of California, San Diego. I am situated in the Barnett Shale. I have several NG wells either on my place or in my pool. Right now the price of NG is below $3.00. Predictions are for NG prices to stay below $4.00 for 2015 and 2016. 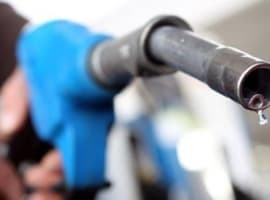 Texas and Louisiana, will drive the price above $4.00 between 2015 and 2016.